Application Deadline: 15th April 2019. Every year thousands of African youth experience challenges as they travel across the African continent. This often translates to lost opportunities for work, business and leisure because of onerous visa processes. The writing competition is one of the platforms under the #VisaFreeAfrica Campaign that is aimed at putting a face to the large number of young Africans missing out on these opportunities. 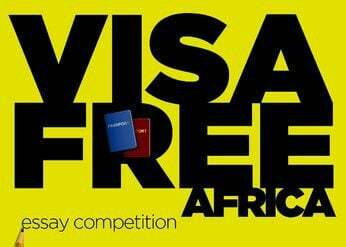 VisaFreeAfrica invite you to share your story and spread awareness on the need for a #VisaFreeAfrica. Deadline for submission is 11:59 pm (GMT) on 15th April 2019. Previous articleYouth Citizen Entrepreneurship Competition 2019 for Young people from around the world.